Considered one of the biggest Hallyu stars in Korea, he's a name you can't escape, making waves in Korea and internationally as well; a fashion icon, ambassador, actor, and singer, Lee Min Ho wins the hearts of ladies everywhere. With his military enlistment date drawing near (May 12), fans are already missing his absence as the actor takes a 2 year break with his enlistment and says goodbye to his 20s. I'm personally a huge fan, the first K-drama I ever watched was a Lee Min Ho drama and it sent me down a dark black hole of no return - He's the reason I became addicted to K-dramas and there's no going back! So without further, ado let's get right into this list! NOTE: The recommendations list is based on dramas and films I've personally seen, ranked in order by what I think goes from good to not-so-good, and not in chronicle order by what he's starred in. The drama that started my addiction! This adaption of the popular manga is still one of my favourite K-dramas till this day and probably my favourite Lee Min Ho role, a character that's emotionally compelling and seems to fit LMH perfectly. I loved all the action scenes and the adorable bromance between him and the Ahjusshi he runs into in Thailand. It also has one of the cutest couple pairings (ahem, they even dated in real life omo!) and I'd love to see them on screen again because their chemistry was phenomenal. The entire cast is A+ and despite it's length, I watched this from beginning to end with ease. I think everyone was skeptical and had many doubts, but this drama was great! The romances were written beautifully and I found myself enjoying the fusion sageuk elements. It meshes together fantasy, time travel, romance, and historical genres in order to give something entirely new. It has a Disney-esque feel too it, with a convincing villain and compelling love story. And as far as historical dramas go, I didn't think a Doctor who could time travel would have me so thoroughly invested in her, praying that she'd have a happy ending with her General. LHM's stoic, yet soft character will have you swooning and wishing him all the happiness in the world...I'm tearing up just thinking about it gah. If a couple could be defined as 'aesthetics' then Kdramaland has given it to us. 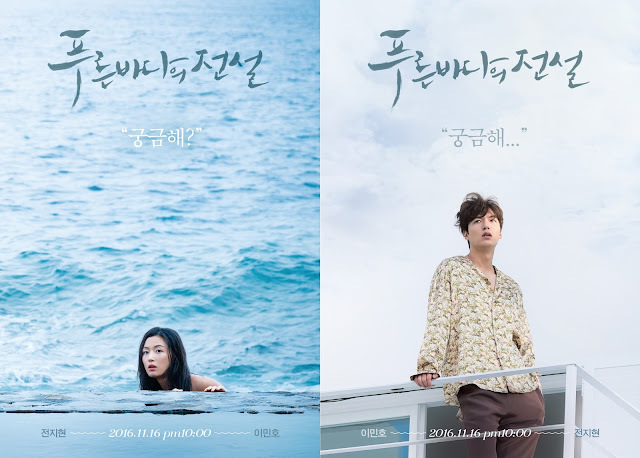 This quirky drama of a mermaid and con-man was fresh, the Joseon aspects mystical and beautiful. 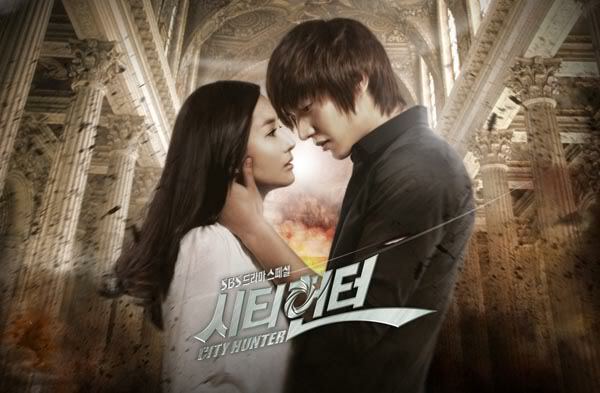 I liked the build-up of the romance once the couple was trying to defy fate and time, LMH's character possessing undying love for his leading lady - it was cute, yet tragic for me because it had me weeping over a fictional character like his not being real! Legend of the Blue Sea's success however, is due to Jun Ji Hyun, as a top-notch actress she puts a magical spell on audiences because her role as a devoted, pure but naughty mermaid makes her a female lead you'll love. I warn you now, if you want to watch this then do so with your brain on pause. 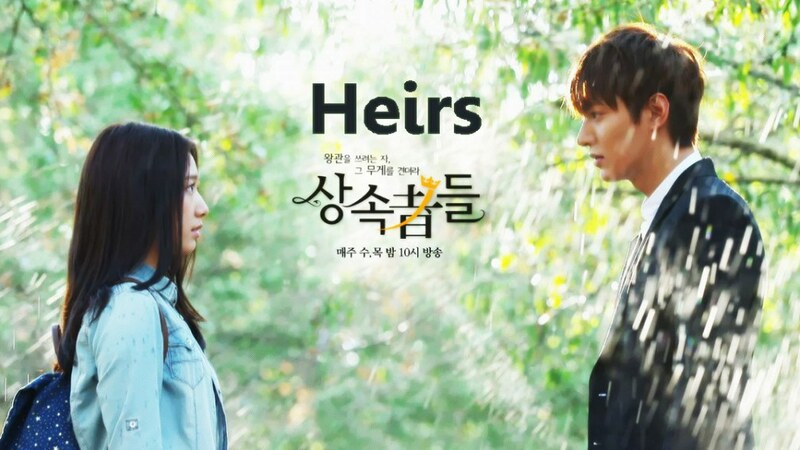 Probably one of most buzzed about dramas that garnered attention internationally, The Heirs gave drama lovers a pairing that may never happen again and the largest cast I've ever seen! I don't think I'll ever expect to see Kim Woo-Bin, Lee Min Ho, Park Shin Hye, Kang Ha Neul, Park Hyung Shik, CNBlue's Kang Min Hyuk, f(x)'s Krystal, Kim Ji Won, and Choi Jin Hyuk in a drama together ever again. Ever. It's a jaw-dropping cast and although this drama is cliché and full of lapses of logic as well as poor writing and bad character development, I like to use this drama as a point of reference because everyone that was apart of this has grown exponentially. I will confess however, I really did enjoy LMH's cringe-worthy character who stuck to his girl like glue - he gets brownie points for that! And I was completely hooked! I'd be lying if I said I didn't like this, so although not the best in terms of material, there's something about it that may draw you in. It's a sappy high school romance that at the time it aired, was the drama to watch, so much so that fans are still hoping for a season 2. Um. I'd like to ask everyone who liked this...why? This was LMH's breakout role of sorts that catapulted him into fame and handed him the label of a 'hallyu' star but I for one found his character a snob who was aggressive and a straight-up spoilt brat (don't mind my opinion though). This drama is considered a classic and is depicted as the Korean version of Gossip Girl so if that's your cup of tea then you'll love it...maybe not LMH's perm though. It will not be missed. P.S. I think it's obvious why Boys Over Flowers is at the bottom of my drama list. I would have liked more scenes with the second-leading couple though - now there's a pairing I really want to see in the future. The movie will have you laughing every five minutes! I wasn't expecting to be hooked and didn't really have any expectations for the film but it surprised me with a fast paced crime and thievery plot, comedy, and adorable romance. I appreciate it when entertainment industries and countries share and collaborate, aware of the potential and possibilities out there, so yay for globalization? Overall, the bumbling and hilarious bromance between the two failed interpol agents turned bodyguards makes Bounty Hunters a feel-good movie full of unthinkable situations and laugh out loud moments. With an actor of high caliber like Kim Rae Won paired up with LMH you can bet all your marbles that this film will be good. It's lengthy and slow at times but it has a layer of realism underneath all the noir and gangster elements. LMH went through drastic changes and struggles in order to prepare for his role, his 'flower' boy image completely sacked and left in the dust. 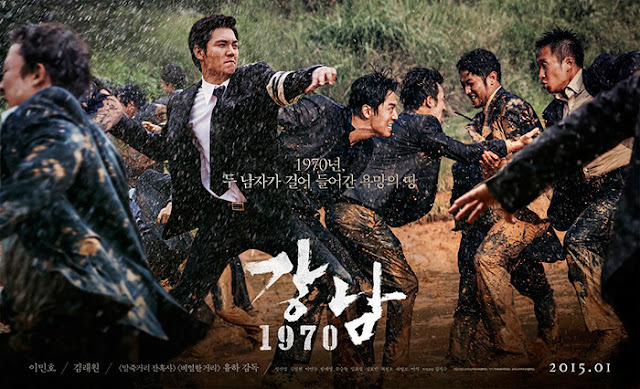 As a fan I cried tears of joy because of his dedication but I also missed the image of LMH during his City Hunter days😢 Nevertheless, it highlights the issues during the 1970's when Gangnam went under major development and the politics surrounding it. 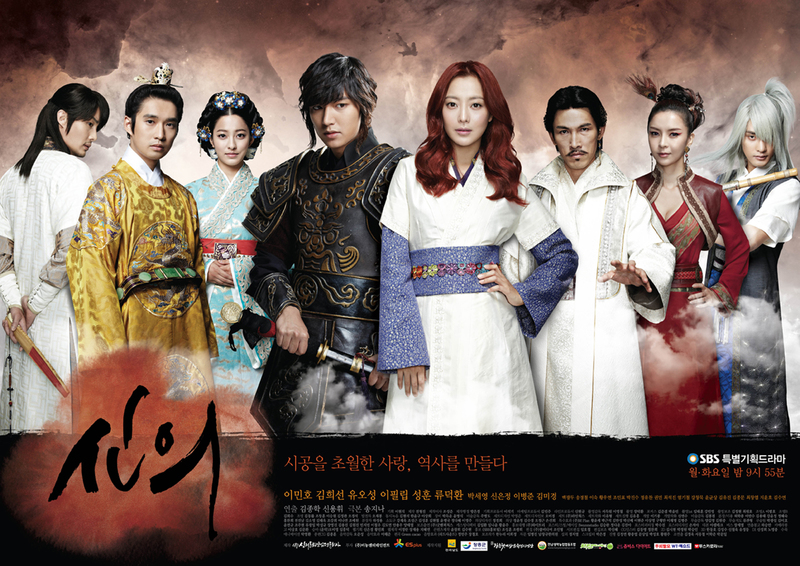 Besides, LMH doing action is one of the best things ever. And no, I'm not exaggerating. 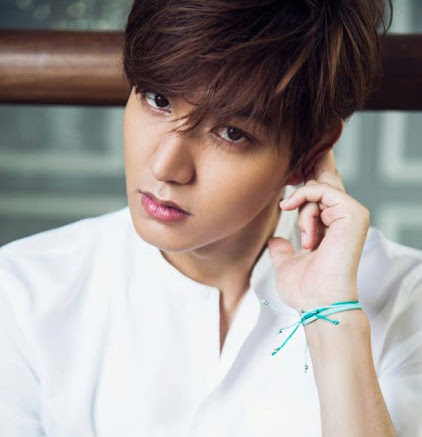 So what's your favourite Lee Min Ho drama or movie? Share your thoughts and comments! Will you miss him during the next 2 years? I think The Heirs was the drama that was billed as the Korean version of Gossip Girls, though it was nothing like it. 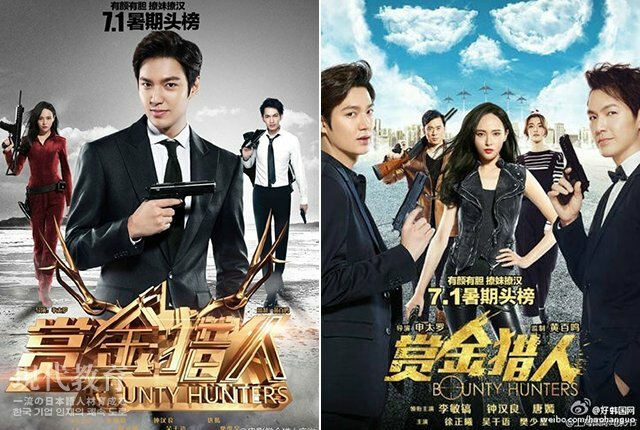 It reminds me of Swords of Legends and Chinese Paladin 3 - tacky but popular dramas which boosted its cast to a new level of fame. I've only really watched him in City Hunter & that's one of my fav dramas. He was great in it with Park Min Young. I only recommended and made a list based on what I've seen myself, I haven't seen Personal Taste so I didn't include it but from what I've heard, it's good.